H. von Gimborn is founded as a chemical-pharmaceutical factory by pharmacist Heinrich von Gimborn, whose name the company bears. The main focus of the company is initially on the production of pastes and tablets for human consumption – analogous to today’s products for animals. On this basis, and with the sale of ink, liquorice and fennel honey, the company establishes itself on the market and grows rapidly. By the end of the 19th century, H. von Gimborn has branches throughout Germany and overseas subsidiaries too, including operations in South America, China and the USA. Gimborn is recognised with the New Product of the Year Award in both 2014/15 and 2015/16 by “pet”, the leading German-language magazine for the pet supplies trade. One of our core competencies is the ability to develop and implement innovative and efficient manufacturing procedures. Gimborn operates with two state-of-the-art production facilities in Germany. Snacks and treats are made in the facility in Emmerich am Rhein (North Rhine Westphalia, Germany), and cat litter in the facility in Kelheim (Bavaria, Germany). Gimborn has invested heavily in both facilities in recent years. The main products made here are snack pastes. The high-quality paste production process begins with the preparation of an emulsion-like dispersion of liquid and powdered raw materials in a powerful homogeniser. Manufacturing commences with the preparation of the mixture of different types of powdered raw materials that then undergo compression in a press machine. Our production facility for cat litter is one of the most energy-efficient and state-of-the-art facilities in the whole of Europe. The production process is illustrated as follows. They have been a pet specialist for more than 50 years with our Biokat’s brand of cat litter, and GimCat and GimDog brands for snacks for cats and dogs. 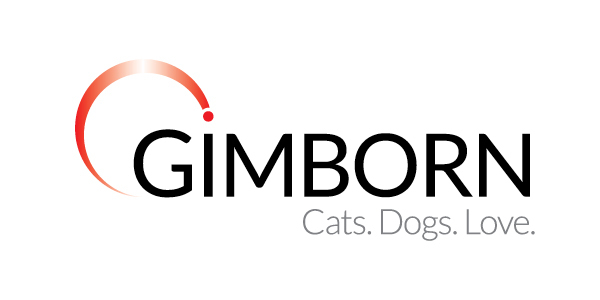 Gimborn’s proucts are being sold in more than 40 countries. The core markets are Germany, the Netherlands and Italy. In the German specialist trade, H. Gimborn GmbH is a market leader in important segments. Gimborn has outstanding expertise in innovation which has been demonstrated in award-winning product concepts and a corresponding growth in sales. For example, the leading German language specialist magazine for pet shops, “pet”, awarded the company the product innovation prize in 2014/15 and 2015/16. Our innovations come from a solidly structured innovation process based on a fundamental understanding of the needs of pets and their owners. Many years of experience and a genuine understanding for the needs of consumers go into product development. They use award-winning concepts in sustainability and energy efficiency. In contrast to traditional German SMEs, Gimborn also uses highly professional IT and analysis systems and well-structured design and development processes. Leotsakos IKE is Gimborn’s exclusive representative in greek market since 2012.